Arthropod - Galatheid crab - "Pinchbug"
Photo of a Pinchbug, a crab of the family Chirostylidae, a kind of galatheid crab. These scavenging crabs are often seen on the deep sea floor in abundance around hydrothermal vents, cold seeps, and whale falls. 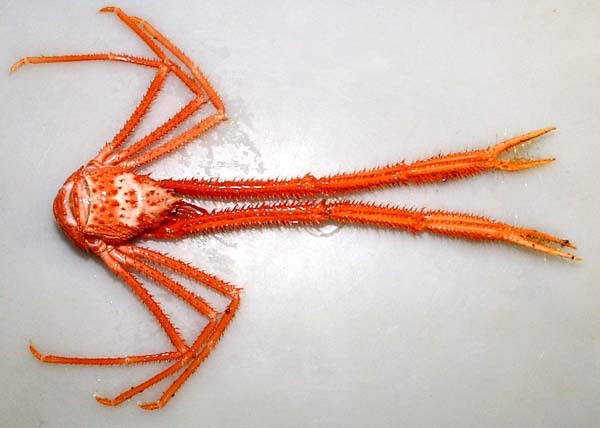 Photograph from NOAA Ocean Explorer. ©2003 by the Regents of the University of California.